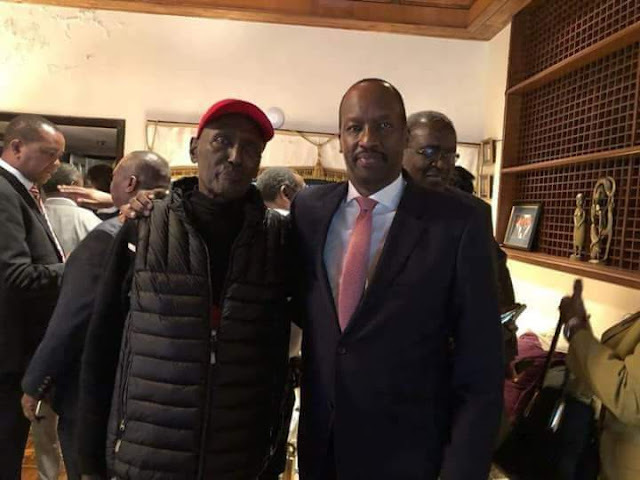 Chris kirubi finally arrived back in the country after going for treatment in USA. He is one if the top 10 richest Kenyans in the country. He had gone to seek treatment in USA for an ailment which he has not yet disclosed but it us eating the once very healthy business man slowly. Here is a photo of the business man after he returned from the USA looking very fragile and not looking like the healthy and jovial kirubi we are accustomed to .